We sale OEM parts and accessories for all make and models such as Honda, Yamaha, Suzuki, Kawasaki, Harley Davidson, and even China brands. We even have the hard to find items.. In our online store, we carry top name brand product like HJC Helments, Joe Rocket Gloves and much more. For items you can't find listed at our online store just send us a request by filling out our easy form on our parts request page found on the menu at the top of all our pages. We want to make it possibe to find anything you need. We are your all you need store and more. 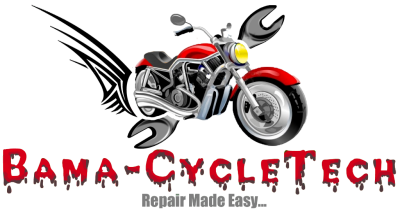 You can also find us on social media or come see us at DC Customs, our motorcycle parts, accessories and repair shop located in Haleyville, Alabama where we repair all makes and models new and old. Our mechanic has 28 years experience in cycle repair. No job is too big or too small. We are a proud dealer for big motorcycle parts and accessories name brands like, Tucker Rocker, BikeMaster, Kuryakyn, Sulivans, QuadBoss, Joe Roket, HJC and Biker's Choice, just to name a few. If it isn't presently in stock in our store, we can order it from any of our many associates. We also carry Interstate Batteries for all vehicles. Looking for tires? Bring your Bike to us. We stock all name brands from Dunlop to Metzler. Have them mounted and balanced by our professionals. If you come to visit us in person and need us to make an order for you, your order is procesed the same day, In most cases the order will be filled and returned to the shop in 2 day. We have everything you need to ride with. If you have any suggestions how we can impove this site to be more user friendly, please click the button and leave a comment.